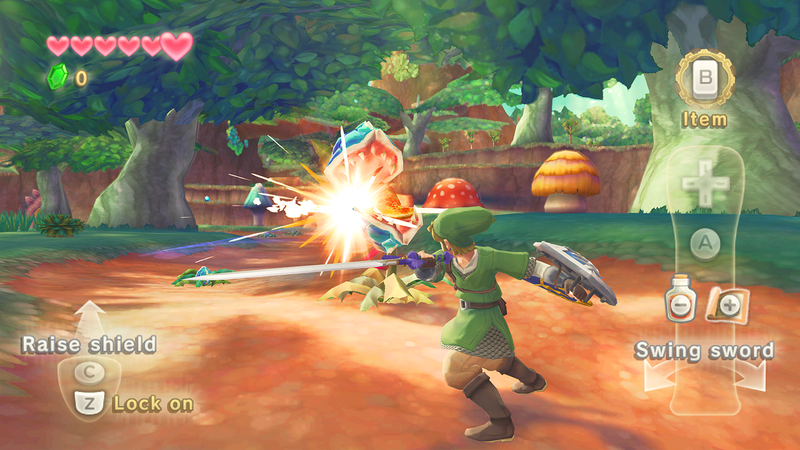 The most recent title I’ve reviewed so far, The Legend of Zelda: Skyward Sword was the last Zelda game to be released before the Wii U was launched, and it incorporated Motion Plus features of the Wii Remote, enabling the actions of Link to mimic the actions you took with the remote – a key point. I enjoyed this game, which had several new elements to it (such as the aforementioned mimicking), such as better sword-fights, a whip (most useful! ), and other bits and pieces. However, like its predecessor Twilight Princess, there were also elements to Skyward Sword that made for a frustrating experience at times. Sometimes the controls felt a little off. You would be trying to side-swipe with the sword, but even if you moved the remote in that fashion, you ended up stabbing or slicing vertically – not a problem usually, except some enemies required a certain approach – at best, you’d be wasting time getting it wrong, at worst, dying, and having to replay a chunk of a level. The sections set in the sky, where you have to ride your flying beast (an enormous bird) could be tedious at times, whilst there are also sections that require you to repeat yourself a few times over hunting for parts to keys, or collecting magical essence (you wind up going back over certain regions more than once, and fighting the same enemies, quite a few times). You have to repeatedly fight a huge whale-like monstrosity, each time with slightly different elements to the battle, but these fights were, in my view, frustrating and repetitive. I guess, being a child of the 90s and therefore the earlier, less linear Zelda games, I found Skyward Sword to be overly structured. Still, it is a good game. The Motion Plus, when executed properly, gives you the feeling that you really are wielding a sword and shield, swashbuckling with weird monsters. Some of the bosses are fun to fight (there’s a huge golden station with massive swords that’s great fun to deal with), and the dungeons are reasonably good (such as the Temple of Time), but as mentioned before, there are too many repetitive elements. I don’t want to be treading old ground over and over. I want to be exploring, and facing imaginative enemies and puzzles that make me think. 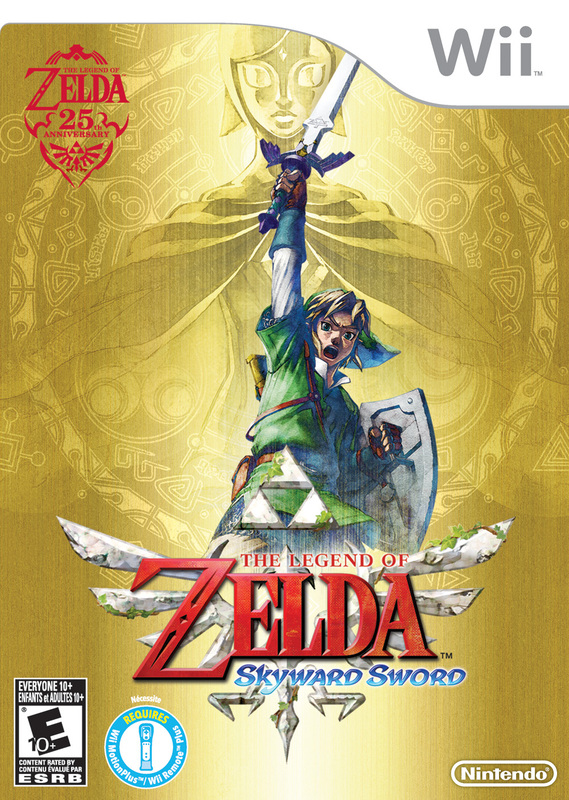 Skyward Sword doesn’t have as many elements of this as other Zelda games, and thus falls down a little. I wish I could rate this game higher, but 7/10 is the best it gets from me.